Several hundred Highlands County Citrus Growers Association (HCCGA) members and area community leaders turned out for the association’s 29th annual meeting on March 21 in Sebring, Florida. Florida Department of Citrus Executive Director Shannon Shepp briefly updated the group on activities of the department. 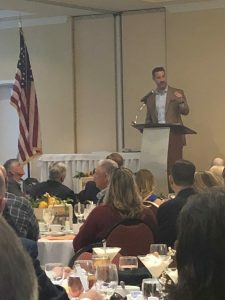 Rep. Greg Steube (FL-District 17) was the featured speaker. He shared some of his experiences and views from his first few months in Congress. 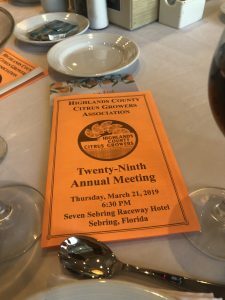 HCCGA members always turn out strong for their association activities and remain deeply involved in youth citrus contests and other programs in their communities.